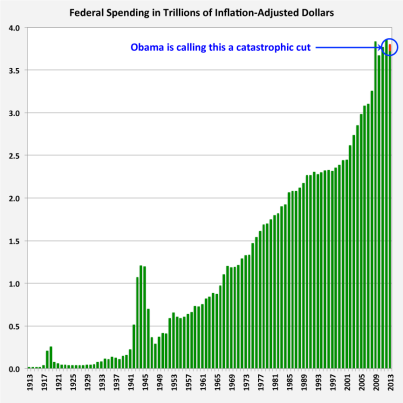 The sequester horror … (zoom in to see it). The wheels come off the federal behemoth Saturday if these draconian measures go into effect. Who knew the leviathan was so fragile?